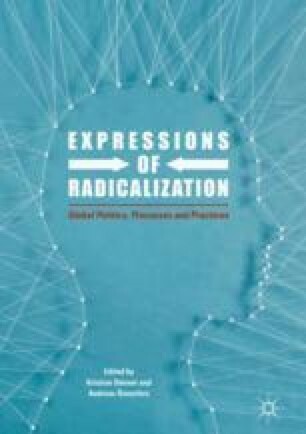 Steiner and Önnerfors explore in this concluding chapter the main themes addressed in the volume such as an enlarged geographical scope in the study of radicalization, heuristic, and methodological considerations. A particular aim of the chapter is to highlight the diversity of approaches and data that this volume brings together ranging from large-scale quantitative meta-studies to qualitative analyses. Discussing potential outlooks for the research area, the authors suggest to investigate closer the clash of values that radicalization reveals. Another issue concerns legitimacy, since radical movements and ideas frequently operate with the goal to undermine the legitimacy of existing political rule. Furthermore, the authors propose to investigate enemy images in the radicalized and polarized world views across the board of ethno-nationalist, political, and religious extremism.